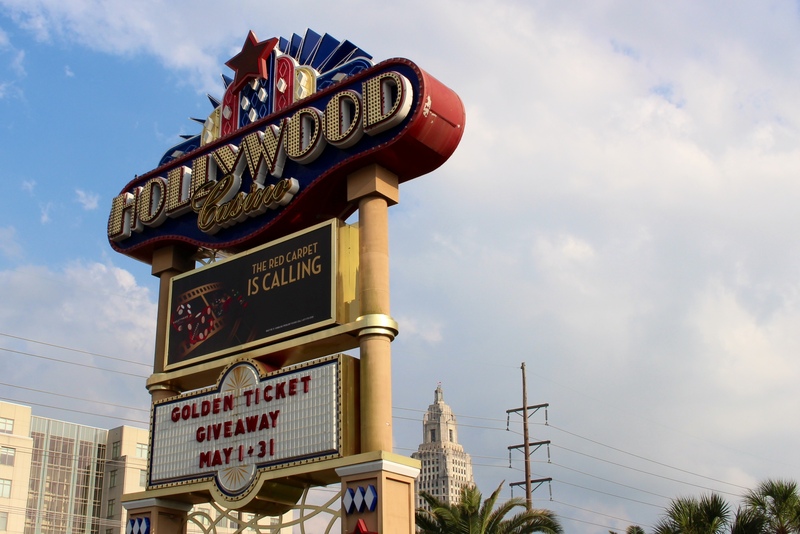 The Hollywood Casino sits less than a mile from the Louisiana State Capitol in Baton Rouge, La. In 1991, the Louisiana Legislature passed law, which made commercial gambling legal in the state. 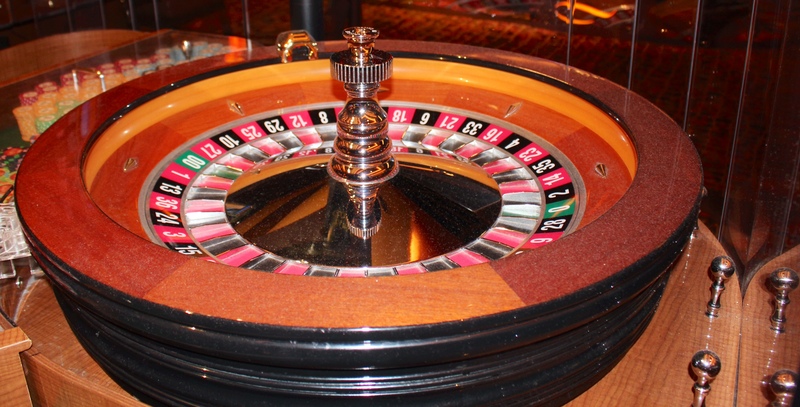 The 16 casinos statewide benefit the Louisiana by supporting 15,000 employees and paying millions of dollars in fees and taxes to state and local governments each year, according to the Louisiana Casino Association. Vanessa Mouton said she used to pray to God in church every week that she would win big at the casino. Hiding what she now knows was a gambling addiction from her husband, daughter and son, Mouton said she would then make an excuse to leave the house after her family’s Sunday dinner. Mouton said she would tell her family she was running household errands. Instead, she would take out $100 from an obscure ATM where she knew her relatives would not see her. A resident of Scott, La., Mouton would then drive the Evangeline Downs Racetrack and Casino in Opelousas, La., where she would spend three to four hours at the slots or high end poker tables, rarely returning home with a win. This routine went on for two years, starting in 2009 after Mouton won a $3,000 jackpot. Statistics from the Louisiana Department of Health and Hospitals show that there are nearly 100,000 people in the state who suffer from gambling addictions as Mouton did. Gambling is easy to come by in Louisiana thanks to a unique set of laws passed in 1991, which made Louisiana one of 20 states to permit commercial gambling in the U.S.
Casinos and legalized gambling, known as “gaming,” have brought billions of dollars into Louisiana in the past 13 years. But for many Louisianans, these statewide gains come with the heavy price of personal financial loss and life altering addictions. According to Dawn Himel, an attorney for the Louisiana Gaming Board, the 1991 legislation’s intent was to “promote economic development” through jobs, fees and tourism. She said under the law, Louisiana is allotted a maximum of 15 casinos statewide provided the casinos are located on riverboats. An amendment in 1992 allotted for one land based casino, which allowed for the construction of Harrah’s Casino on Poydras Street in New Orleans. These 16 casinos employ approximately 15,000 workers who are provided full health benefits and earn an average salary of $22,000 a year, according to the Louisiana Casino Association. Furthermore, the law requires riverboat casinos to pay the state $100,000 in licensing fees plus 24.5 percent of its annual net gambling revenue. These fees contribute to the approximately $218 million state and local governments receive from casinos each year. The casino association estimated that more than 50 percent of these dollars are from out of state visitors, mostly Texans, who come to Louisiana to gamble. Himel said that the gaming board enforces strict regulations to insure that every casino in the state is functioning ethically and lawfully under the 1991 laws. Doug Olinde, a recreational gambler, and Vanessa Mouton, a recovering gambling addict, say that gambling gives them a rush of adrenaline. Olinde, a Baton Rouge native and small business owner, described gambling as a “drug without a pill or a liquid.” The Department of Health and Hospitals estimated that 100,000 Louisianans are addicted to gambling in some form. But despite the regimented practices and financial benefits of casinos, some gamblers still warn against them. Doug Olinde, a small business owner from Baton Rouge, said he frequents the state’s newest casino, L’Auberge Baton Rouge, about three times a week to gamble or enjoy compensated meals at one of the many restaurants. “Casinos seem like they are your friends, but they are not,” he said. He went on to say that casinos offer too much temptation to recreational gamblers and addicts alike. He said many of the negative effects of gambling are disheartening. Addictive behavior counselor Matricia Green sees the realities of these losses every day. In 1996, Green was contracted to start the first compulsive gambling recovery program in Baton Rouge in response to the increased number of addictions brought on by the introduction of riverboat casinos. Green counsels compulsive gamblers through the Capital Area Human Services center on Government Street, which is funded by casino revenues. Green said that gambling addiction is a significant problem in Louisiana that is often overlooked. Mouton and her husband estimated that she had lost $130,000 in the two years she was addicted to gambling. Mouton said she was also on the verge of losing her husband of 38 years because of her addiction, and was struggling with alcohol and methadone abuse following a painful knee surgery in 2008. According to Green, it is uncommon for gambling additions to occur in isolation. She has noticed that gambling addictions are often coupled with alcoholism or substance abuse. She said almost all of the female patients she treats are struggling with relationship issues as well. Green said that gambling is often a means of escapism that her clients have taken too far. Mouton described her experiences with gambling similarly. Though gambling addictions are tied and in many ways comparable to substantive addictions, Green and Mouton said gambling is harder to combat. Treatment at the CAHS is free, but Green said many gambling addicts are resistant to help. “There are two things that keep people out of the doors: guilt and shame,” she said. Mouton was a reluctant patient herself. Her husband confronted her about the substantial financial losses in July 2011. She said even though she knew she had been caught, she continued to lie and was in denial about her addiction until seeking treatment later that month at the Acadiana Addiction Center in Lafayette, La. Mouton has been sober and gamble-free for two years and eight months, but said it was not an easy path and is something she has to work on continuously. “For me today, if I had to say, having multiple addictions, as far as gambling, drug and alcohol, the hardest [recovery] would be the gambling,” Mouton said. She explained that she rarely thinks about methadone or alcohol since treatment, but refuses to put herself in a situation where she might be triggered to gamble. For years she would not drive down the street where the video-poker stop she visited was located. She recently declined an invitation to attend a concert because she knew she would have to walk through a casino to get to the arena. She said she knows she is strong enough to resist, but would rather avoid the temptation. Despite these perpetual challenges, Mutton says today her life has been completely transformed for the better. She works as a tech at AAC, the same clinic that helped her overcome her own addiction. She said she loves her job and helping others through similar situations. 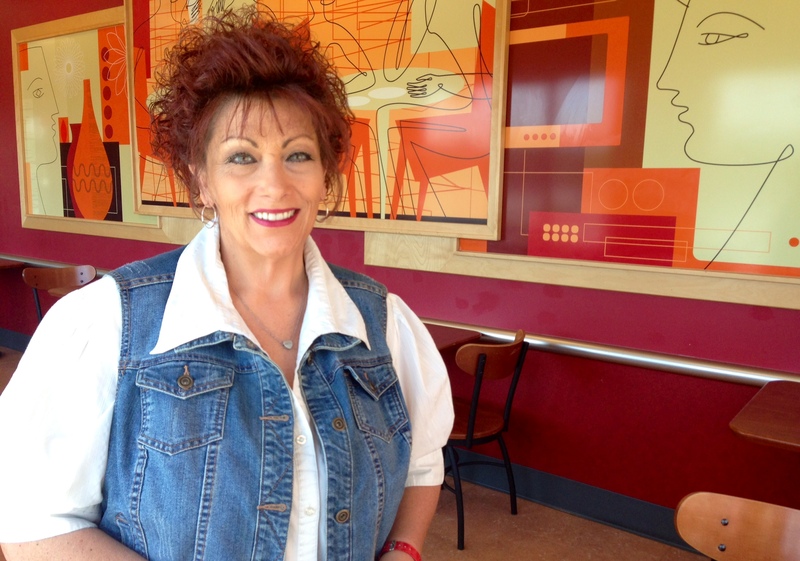 She said with her gambling addiction behind her, she leads a much more positive life. Tags: addiction, casino, gambling, law, Louisiana, recovery. Bookmark the permalink.